This article is about the National Hockey League championship trophy. For other uses, see Stanley Cup (disambiguation). The Stanley Cup (French: La Coupe Stanley) is the championship trophy awarded annually to the National Hockey League (NHL) playoff winner. It is the oldest existing trophy to be awarded to a professional sports franchise, and the International Ice Hockey Federation (IIHF) considers it to be one of the "most important championships available to the sport". Originally commissioned in 1892 as the Dominion Hockey Challenge Cup, the trophy is named after Lord Stanley of Preston, then-Governor General of Canada, who donated it as an award to Canada's top-ranking amateur ice hockey club, which the entire Stanley family supported, with the sons and daughters playing and promoting the game. The first Cup was awarded in 1893 to Montreal HC, and subsequent winners from 1893 to 1914 were determined by challenge games and league play. Professional teams first became eligible to challenge for the Stanley Cup in 1906. In 1915, the two professional ice hockey organizations, the National Hockey Association (NHA) and the Pacific Coast Hockey Association (PCHA), reached a gentlemen's agreement in which their respective champions would face each other annually for the Stanley Cup. After a series of league mergers and folds, it was established as the de facto championship trophy of the NHL in 1926 and then the de jure NHL championship prize in 1947. There are actually three Stanley Cups: the original bowl of the "Dominion Hockey Challenge Cup", the authenticated "Presentation Cup", and the spelling corrected "Permanent Cup" on display at the Hockey Hall of Fame. The NHL has maintained effective control over both the trophy itself and its associated trademarks. Nevertheless, the NHL does not actually own the trophy, but instead uses it by agreement with the two Canadian Trustees of the Cup. The NHL has registered trademarks associated with the name and likeness of the Stanley Cup, although the league's right to outright own trademarks associated with a trophy it does not own has been disputed by some legal experts. The original bowl was made of silver and is 18.5 centimetres (7.28 inches) in height and 29 centimetres (11.42 inches) in diameter. The current Stanley Cup, topped with a copy of the original bowl, is made of a silver and nickel alloy; it has a height of 89.54 centimetres (35.25 inches) and weighs 15.5 kilograms (34.5 lb). Unlike the trophies awarded by the other major professional sports leagues of North America, a new Stanley Cup is not made each year. Originally, the winners kept it until a new champion was crowned. Currently, winning teams get the Stanley Cup during the summer and a limited number of days during the season. It is unusual among trophies to include winning members' names. Every year since 1924, a select portion of the winning players, coaches, management, and club staff names are engraved on its bands. However, there is not enough room to include all the players and non-players, so some names must be omitted. Between 1924 and 1940, a new band was added almost every year the trophy was awarded, earning the nickname "Stovepipe Cup" due to the unnatural height of all the bands. In 1947 the cup size was reduced, but not all the large rings were the same size. In 1958 the modern one-piece Cup was designed with a five-band barrel which could contain 13 winning teams per band. To prevent the Stanley Cup from growing, when the bottom band is full, the oldest band is removed and preserved in the Hockey Hall of Fame, and a new blank band added to the bottom. It has been referred to as The Cup, Lord Stanley's Cup, The Holy Grail, or facetiously (chiefly by sportswriters) as Lord Stanley's Mug. The Stanley Cup is surrounded by numerous legends and traditions, the oldest of which is the celebratory drinking of champagne out of the cup by the winning team. Since the 1914–15 season, the Cup has been won a combined 101 times by 18 active NHL teams and five defunct teams. It was not awarded in 1919 because of a Spanish flu epidemic, and in 2005, as a consequence of the 2004–05 NHL lockout. During the challenge cup era from 1893 to 1914, the Cup was held by nine different teams. 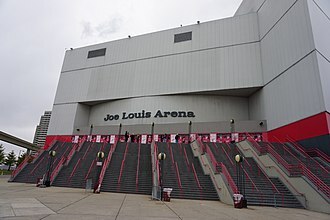 The Montreal Canadiens have won the Cup a record 24 times and are the most recent Canadian-based team to win the cup, having won it in 1993, while the Detroit Red Wings have won the Cup 11 times, the most of any United States-based NHL team, most recently in 2008. After the Lord Stanley of Preston was appointed by Queen Victoria as Governor General of Canada on June 11, 1888, he and his family became highly enthusiastic about ice hockey. Stanley was first exposed to the game at Montreal's 1889 Winter Carnival, where he saw the Montreal Victorias play the Montreal Hockey Club. The Montreal Gazette reported that he "expressed his great delight with the game of hockey and the expertise of the players". During that time, organized ice hockey in Canada was still in its infancy and only Montreal and Ottawa had anything resembling leagues. I have for some time been thinking that it would be a good thing if there were a challenge cup which should be held from year to year by the champion hockey team in the Dominion [of Canada]. There does not appear to be any such outward sign of a championship at present, and considering the general interest which matches now elicit, and the importance of having the game played fairly and under rules generally recognized, I am willing to give a cup which shall be held from year to year by the winning team. I am not quite certain that the present regulations governing the arrangement of matches give entire satisfaction, and it would be worth considering whether they could not be arranged so that each team would play once at home and once at the place where their opponents hail from. Soon afterwards, Stanley purchased what is frequently described as a decorative punch bowl, but which silver expert John Culme identified as a rose bowl, made in Sheffield, England, and sold by London silversmith G. R. Collis and Company (now Boodle and Dunthorne Jewellers), for ten guineas, equal to ten and a half pounds sterling, US$48.67, which is equal to $1,357 in 2018 dollars. He had the words "Dominion Hockey Challenge Cup" engraved on one side of the outside rim, and "From Stanley of Preston" on the other side. The winners shall return the Cup in good order when required by the trustees so that it may be handed over to any other team which may win it. Each winning team, at its own expense, may have the club name and year engraved on a silver ring fitted on the Cup. The Cup shall remain a challenge cup, and should not become the property of one team, even if won more than once. The trustees shall maintain absolute authority in all situations or disputes over the winner of the Cup. The first Stanley Cup Champions were the Montreal Hockey Club (affiliated with the Montreal Amateur Athletic Association). Stanley appointed Sheriff John Sweetland and Philip D. Ross (who went on to serve an unsurpassed 56 years) as trustees of the Cup. Sweetland and Ross first presented the trophy in 1893 to the Montreal Amateur Athletic Association on behalf of the affiliated Montreal Hockey Club, the champions of the Amateur Hockey Association of Canada (AHAC), since they "defeated all comers during the late season, including the champions of the Ontario Association" (Ottawa). Sweetland and Ross also believed that the AHAC was the top league, and as first-place finishers in the AHAC, Montreal was the best team in Canada. Naturally, the Ottawas were upset by the decision because there had been no challenge games scheduled and because the trustees failed to convey the rules on how the Cup was to be awarded prior to the start of the season. The Cup is automatically awarded to the team that wins the title of the previous Cup champion's league, without the need for any other special extra contest. Challengers for the Cup must be from senior hockey associations, and must have won their league championship. Challengers will be recognized in the order in which their request is received. The challenge games (where the Cup could change leagues) are to be decided either in a one-game affair, a two-game total goals affair, or a best of three series, to the benefit of both teams involved. All matches are to take place on the home ice of the champions, although specific dates and times have to be approved by the trustees. Ticket receipts from the challenge games are to be split equally between both teams. A league could not challenge for the Cup twice in one season. Stanley never saw a Stanley Cup championship game, nor did he ever present the Cup. 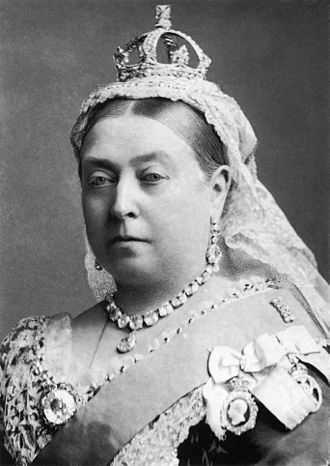 Although his term as Governor General ended in September 1893, he was forced to return to England on July 15. 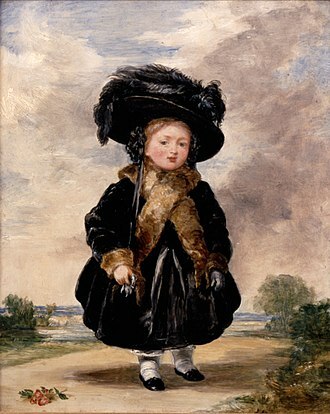 In April of that year, his elder brother Edward Stanley, 15th Earl of Derby died, and Stanley succeeded him as the 16th Earl of Derby. During the challenge cup period, none of the leagues that played for the trophy had a formal playoff system to decide their respective champions; whichever team finished in first place after the regular season won the league title. However, in 1894, four teams out of the five-team AHAC tied for the championship with records of 5–3–0. The AHAC had no tie-breaking system. 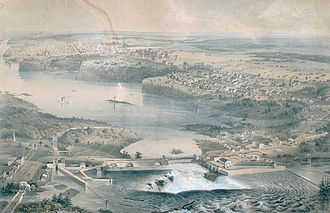 After extensive negotiations and Quebec's withdrawal from the championship competition, it was decided that a three-team tournament would take place in Montreal, with the Ottawa team receiving a bye to the final because they were the only road team. On March 17, in the first ever Stanley Cup playoff game, the Montreal Hockey Club (Montreal HC) defeated the Montreal Victorias, 3–2. Five days later, in the first Stanley Cup Final game, Montreal HC beat the Ottawa Hockey Club 3–1. In 1895, Queen's University was the first official challenger for the Cup, although it was controversial. 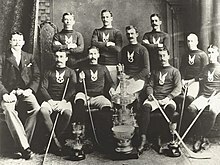 The Montreal Victorias had won the league title and thus the Stanley Cup, but the challenge match was between the previous year's champion, Montreal HC, and the university squad. The trustees decided that if the Montreal HC won the challenge match, the Victorias would become the Stanley Cup champions. The Montreal HC won the match 5–1 and their cross-town rivals were crowned the champions. The first successful challenge to the Cup came the next year by the Winnipeg Victorias, the champions of the Manitoba Hockey League. On February 14, 1896, the Winnipeg squad defeated the champions 2–0 and became the first team outside the AHAC to win the Cup. As the prestige of winning the Cup grew, so did the need to attract top players. Only nine months after winning the Cup, in March 1906, the Montreal Wanderers pushed through a resolution at the annual meeting of the Eastern Canada Amateur Hockey Association (ECAHA) to allow professional players to play alongside amateurs. Because the ECAHA was the top hockey league in Canada at the time, the Cup trustees agreed to open the challenges to professional teams. The first professional competition came one month later during the Wanderers' two-game, total goals challenge series, which they won 17 goals to 5. The smallest municipality to produce a Stanley Cup champion team is Kenora, Ontario; the town had a population of about 4,000 when the Kenora Thistles captured the Cup in January 1907. Aided by future Hall of Famers Art Ross and "Bad" Joe Hall, the Thistles defeated the Montreal Wanderers in a two-game, total goals challenge series. The Thistles successfully defended the Cup once, against a team from Brandon, Manitoba. In March 1907, the Wanderers challenged the Thistles to a rematch. Despite an improved lineup, the Thistles lost the Cup to Montreal. In 1908, the Allan Cup was introduced as the trophy for Canada's amateurs, and the Stanley Cup started to become a symbol of professional hockey supremacy. In that same year, the first all-professional team, the Toronto Trolley Leaguers from the newly created Ontario Professional Hockey League (OPHL), competed for the Cup. One year later, the Montreal HC and the Montreal Victorias, the two remaining amateur teams, left the ECAHA, and the ECAHA dropped "Amateur" from their name to become a professional league. In 1910, the National Hockey Association (NHA) was formed. The NHA soon proved it was the best in Canada, as it kept the Cup for the next four years. Prior to 1912, challenges could take place at any time or place, given the appropriate rink conditions, and it was common for teams to defend the Cup numerous times during the year. In 1912, Cup trustees declared that it was to be defended only at the end of the champion team's regular season. In 1914, the Victoria Aristocrats from the Pacific Coast Hockey Association (PCHA) challenged the NHA and Cup champion Toronto Blueshirts. A controversy erupted when a letter arrived from the Stanley Cup trustees on March 17, that the trustees would not let the Stanley Cup travel west, as they did not consider Victoria a proper challenger because they had not formally notified the trustees. However, on March 18, Trustee William Foran stated that it was a misunderstanding. PCHA president Frank Patrick had not filed a challenge, because he had expected Emmett Quinn of the NHA to make all of the arrangements in his role as hockey commissioner, whereas the trustees thought they were being deliberately ignored. In any case, all arrangements had been ironed out and the Victoria challenge was accepted. Several days later, trustee Foran wrote to NHA president Quinn that the trustees are "perfectly satisfied to allow the representatives of the three pro leagues (NHA, PCHA, and Maritime) to make all arrangements each season as to the series of matches to be played for the Cup". One year later, when the Maritime league folded, the NHA and the PCHA concluded a gentlemen's agreement in which their respective champions would face each other for the Cup, similar to baseball's World Series, which is played between the American League and National League champions. Under the new proposal, the Stanley Cup Final series alternated between the East and the West each year, with alternating games played according to NHA and PCHA rules. The PCHA's Vancouver Millionaires won the 1915 series three games to none in a best-of-five series. Prior to organized ice hockey expanding to any serious extent outside Canada, the concept that the Stanley Cup champion ought to be recognized as the world champion was already firmly established – Stanley Cup winners were claiming the title of world champions by no later than the turn of the century. After the Portland Rosebuds, an American-based team, joined the PCHA in 1914, the trustees promptly issued a formal statement that the Cup was no longer for the best team in Canada, but now for the best team in the world. Ice hockey in Europe was still in its infancy at this time, so it was without much controversy that winners of the Stanley Cup continued styling themselves as the world champions just like in baseball. Two years later, the Rosebuds became the first American team to play in the Stanley Cup Final. In 1917, the Seattle Metropolitans became the first American team to win the Cup. After that season, the NHA dissolved, and the National Hockey League (NHL) took its place. In 1919, the Spanish influenza epidemic forced the Montreal Canadiens and the Seattle Metropolitans to cancel their series, marking the first time the Stanley Cup was not awarded. The series was tied at 2–2–1, but the final game was never played because Montreal Manager George Kennedy and players Joe Hall, Billy Coutu, Jack McDonald, and Newsy Lalonde were hospitalized with influenza. Hall died four days after the cancelled game, and the series was abandoned. The format for the Stanley Cup Final changed in 1922, with the creation of the Western Canada Hockey League (WCHL). Three leagues competed for the Cup: two league champions faced each other for the right to challenge the third champion in the final series. This lasted three seasons as the PCHA and the WCHL later merged to form the Western Hockey League (WHL) in 1925. After winning in the 1924–25 season, the Victoria Cougars became the last team outside the NHL to win the Stanley Cup. The WHL folded in 1926 and was quickly replaced by the Prairie Hockey League. However, in the meantime, the NHL (which had entered the U.S. only two years before) bought up the contracts of most of the WHL's players and largely used them to stock the rosters of three new U.S. teams. In what would turn out to be its most significant expansion of its pre-Original Six era, the Chicago Blackhawks, Detroit Red Wings and New York Rangers joined the NHL. With the NHL now firmly established in the largest markets of the Northeastern United States, and with the Western teams having been stripped of their best players, the PHL was deemed to be a "minor league" unworthy of challenging the NHL for hockey supremacy. The PHL lasted only two seasons. Over the next two decades, other leagues and clubs occasionally issued challenges, but none were accepted by the Cup's trustees. Since 1926, no non-NHL team has played for the Cup, leading it to become the de facto championship trophy of the NHL. In addition, with no major professional hockey league left to challenge it, the NHL began calling its league champions the world champions, notwithstanding the lack of any interleague championship. In doing so, the NHL copied a policy that had been adopted by the then still-fledgling National Football League from its start in 1920 (and which the National Basketball Association also asserted upon its founding in 1946). The Trustees hereby delegate to the League full authority to determine and amend from time to time the conditions for competition of the Stanley Cup, including the qualifications of challengers, the appointment of officials, the apportionment and distribution of all gate receipts, provided always that the winners of this trophy shall be the acknowledged World's Professional Hockey Champions. The Trustees agree that during the currency of this agreement they will not acknowledge or accept any challenge for the Stanley Cup unless such a challenge is in conformity with the condition specified in paragraph one (1) thereof. The League undertakes the responsibility for the care and safe custody of the Stanley Cup including all necessary repairs and alterations to the cup and sub-structure as may be required from time to time, and further undertakes to ensure the Stanley Cup for its full insurable value. The League hereby acknowledges itself to be bound to the Trustees in the sum of One Thousand Dollars, which bond is conditioned upon the safe return of the Stanley Cup to the Trustees in accordance with the terms of this Agreement, and it is agreed that the League shall have the right to return the trophy to the Trustees at any time. This agreement shall remain in force so long as the League continues to be the world's leading professional hockey league as determined by its playing caliber and in the event of dissolution or other termination of the National Hockey League, the Stanley Cup shall revert to the custody of the trustees. In the event of default in the appointment of a new trustee by the surviving trustee, the "Trustees" hereby delegate and appoint the Governors of the International Hockey Hall of Fame in Kingston, Ontario, to name two Canadian trustees to carry on under the terms of the original trust, and in conformity with this Agreement. 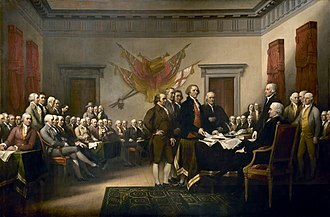 And it is further mutually agreed that any disputes arising as to the interpretation of this Agreement or the facts upon which such interpretation is made, shall be settled by an Arbitration Board of three, one member to be appointed by each of the parties, and the third to be selected by the two appointees. The decision of the Arbitration Board shall be final. This agreement was amended on November 22, 1961, substituting the Governors of the International Hockey Hall of Fame in Kingston, Ontario with the Committee of the Hockey Hall of Fame in Toronto, Ontario as the group to name the two Canadian trustees, if need be. In the 1970s, the World Hockey Association sought to challenge for the Cup. By this time, all Cup Trustees were longtime NHL loyalists, and under the direction of NHL President Clarence Campbell the WHA's challenge for the Cup was blocked. However, notwithstanding the aforementioned legal obligation, the NHL (considering not only the WHA's presence but also the rising caliber of European ice hockey leagues) quietly stopped calling its champions the world champions. Nevertheless, the NHL came under pressure to allow its champion to play the WHA champion. Eventually, following the establishment of the Canada Cup as the first best-on-best international hockey tournament, NHL President Clarence Campbell (who was a vocal opponent of the tournament) made public overtures to establish a true world professional championship in ice hockey, "just like the World Series". Under Campbell's proposal, the NHL champion would have played the WHA champion for the right to face the European champion. In the end, Campbell's proposal went nowhere – eventually, the NHL resolved the WHA challenge by agreeing to merge with its rival, by which time the older league had quietly withdrawn its support for the idea. Neither the NHL nor any other professional hockey league makes a claim to its champions being the world champions. The Cup was awarded every year until 2005, when a labour dispute between the NHL's owners and the NHL Players Association (the union that represents the players) led to the cancellation of the 2004–05 season. As a result, no Cup champion was crowned for the first time since the flu pandemic in 1919. The lockout was controversial among many fans, who questioned whether the NHL had exclusive control over the Cup. A website known as freestanley.com (since closed) was launched, asking fans to write to the Cup trustees and urge them to return to the original Challenge Cup format. 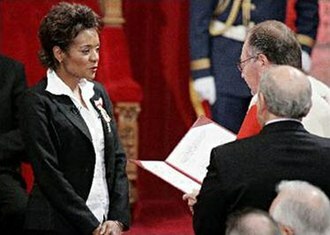 Adrienne Clarkson, then Governor General of Canada, alternately proposed that the Cup be presented to the top women's hockey team in lieu of the NHL season. This idea was so unpopular that the Clarkson Cup was created instead. Meanwhile, a group in Ontario, also known as the "Wednesday Nighters", filed an application with the Ontario Superior Court, claiming that the Cup trustees had overstepped their bounds in signing the 1947 agreement with the NHL, and therefore must award the trophy regardless of the lockout. On February 7, 2006, a settlement was reached in which the trophy could be awarded to non-NHL teams should the league not operate for a season. 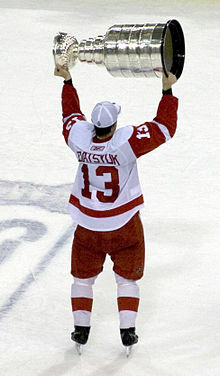 The dispute lasted so long that, by the time it was settled, the NHL had resumed operating for the 2005–06 season, and the Stanley Cup went unclaimed for the 2004–05 season. Furthermore, when another NHL lockout commenced in 2012 the Trustees stated that the 2006 agreement did not oblige them to award the Cup in the event of a lost season, and that they were likely to reject any non-NHL challenges for the Cup in the event the 2012–13 season were cancelled, which it was not. In 2007, the International Ice Hockey Federation (IIHF) formalized the "Triple Gold Club", the group of players and coaches who have won an Olympic Games gold medal, a World Championship gold medal, and the Stanley Cup. The term had first entered popular use following the 2002 Winter Olympics, which saw the addition of the first Canadian members. In March 2017 to commemorate the Stanley Cup's 125th anniversary, the original Cup and the current Stanley Cup were the focus of a four-day tour of Ottawa, including a stop at Rideau Hall. The Royal Canadian Mint announced the production of two commemorative coins to mark the anniversary. The first is a roll of Canadian quarters with an image of the Stanley Cup, the word Stanley Cup in English and Coupe Stanley in French with two ice hockey players and 125 years (English)/Ans (French) on the obverse and an effigy of Elizabeth II on the back made using plated steel. The second coin was designed to be a replica of the Stanley Cup on the obverse and an effigy of Elizabeth II, Stanley Cup in English and Coupe Stanley in French and 50 dollars above the effigy. It was made using 99.9% silver. In October 2017, the Lord Stanley's Gift Monument, commemorating the donation of the Stanley Cup was erected in Ottawa at Sparks Street and Elgin Street, near the location of the dinner party announcing the Cup at the Russell House, which has since been demolished. Like the Grey Cup, awarded to the winner of the Canadian Football League, the Stanley Cup is engraved with the names of the winning players, coaches, management, and club staff. However, this was not always the case: one of Lord Stanley's original conditions was that each team could, at their own expense, add a ring to the Cup to commemorate their victory. Initially, there was only one base ring, which was attached to the bottom of the original bowl by the Montreal Hockey Club. Clubs engraved their team names, usually in the form "TEAM NAME" "YEAR WON", on that one ring until it was full in 1902. With no more room to engrave their names (and unwilling to pay for a second band), teams left their mark on the bowl itself. The 1907 Montreal Wanderers became the first club to record their name on the bowl's interior surface, and the first champion to record the names of 20 members of their team. In 1908, for reasons unknown, the Wanderers, despite having turned aside four challengers, did not record their names on the Cup. The next year, the Ottawa Senators added a second band onto the Cup. Despite the new room, the 1910 Wanderers and the 1911 Senators did not put their names on the Cup. The 1915 Vancouver Millionaires became the second team to engrave players' names, this time inside the bowl along its sides. The 1918 Millionaires eventually filled the band added by the 1909 Senators. The 1915 Ottawa Senators, the 1916 Portland Rosebuds and the 1918 Vancouver Millionaires all engraved their names on the trophy even though they did not officially win it under the new PCHA-NHA system. They had won the title of only the previous champion's league and would have been crowned as Cup champions under the old challenge rules. The winners in 1918, 1920 to 1923 did not put their winning team name on it. 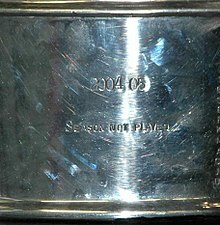 The Stanley Cup acknowledges the cancelled 2004–05 season with the words, "2004–05 Season Not Played" due to the lockout. No further engraving occurred until 1924, when the Canadiens added a new band to the Cup. Since then, engraving the team and its players has been an unbroken annual tradition. Originally, a new band was added each year, causing the trophy to grow in size. The "Stovepipe Cup", as it was nicknamed because of its resemblance to the exhaust pipe of a stove, became unwieldy, so it was redesigned in 1948 as a two-piece cigar-shaped trophy with a removable bowl and collar. This Cup also properly honoured those teams that did not engrave their names on the Cup. Also included was the 1918–19 no decision between the Montreal Canadiens and Seattle Metropolitans. Since 1958, the Cup has undergone several minor alterations. The original collar and bowl were too brittle, and were replaced in 1963 and 1969, respectively. The modern one-piece Cup design was introduced in 1958, when the old barrel was replaced with a five-band barrel, each of which could contain 13 winning teams. Although the bands were originally designed to fill up during the Cup's centennial year, the names of the 1965 Montreal Canadiens were engraved over a larger area than allotted and thus there are 12 teams on that band instead of 13. When the bands were all filled in 1991, the top band of the large barrel was preserved in the Hockey Hall of Fame, and a new blank band was added to the bottom so the Stanley Cup would not grow further. Another new band was scheduled to be added to the bottom of the cup following the 2004–05 season, but was not added because of the 2004–05 NHL lockout. After the 2005–06 champion Carolina Hurricanes were crowned, and the new bottom ring was finally added (along with the retiring of the band listing the 1940–41 to 1952–53 champions). The cancelled season was acknowledged with the words "2004–05 Season Not Played". Following the crowning of the 2017–18 champions, the Washington Capitals, the band listing the 1953–54 to 1964–65 winners is scheduled to be retired, and a new band that will list the 2017–18 to 2029–30 champions will then be added to the bottom of the cup. Currently, the Cup stands at 89.5 centimetres (35¼ inches) tall and weighs 15½ kilograms (34½ lb). Must be on the roster when the team wins the Stanley Cup. However, since 1994 teams have been permitted to petition the NHL Commissioner, to be considered on a case-by-case basis, to engrave a player's name on the cup if the player was unavailable to play due to "extenuating circumstances". For example, the Detroit Red Wings received special permission from the NHL to inscribe the name of Vladimir Konstantinov, whose career ended after a car accident on June 13, 1997, on the Stanley Cup after Detroit defended their title in 1998. With the Montreal Canadiens having won by far the most Cup championships of any team, the list of the players who have been engraved on the Cup the most often is dominated by Montreal players. Henri Richard of the Canadiens, with his name engraved eleven times, played on more Stanley Cup champions than any other player. He is followed by Jean Beliveau and Yvan Cournoyer of the Canadiens with ten championships, Claude Provost of the Canadiens with nine, and three players tied with eight: Red Kelly (four with the Red Wings, four with the Leafs, the most for any player who was not a member of the Canadiens) and Canadiens players Jacques Lemaire, Maurice Richard. Beliveau's name appears on the Cup more than any other individual, ten times as a player and seven times as management for a total of seventeen times. Fifteen women have had their names engraved on the Stanley Cup. The first woman to have her name engraved on the Stanley Cup is Marguerite Norris, who won the Cup as the President of the Detroit Red Wings in 1954 and 1955. The only Canadian woman to have her name engraved on the Stanley Cup is Sonia Scurfield (born in Hafford, Saskatchewan) who won the Cup as a co-owner of the Calgary Flames in 1989. In 2001, Charlotte Grahame, the Colorado Avalanche's Senior Director of Hockey Administration, had her name engraved on the trophy. Her son John later had his name engraved as a member of the Tampa Bay Lightning in 2004. Pat McReavy's name is misspelled "McCeavy" as a member of the 1941 Boston Bruins on the second cup created during the 1957–58 season. McReavy's name was often misspelled as "McCreavy" on team pictures of the Boston Bruins. 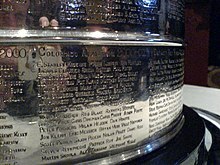 When the Replica Cup was created in 1992–93, the misspelling was not corrected. 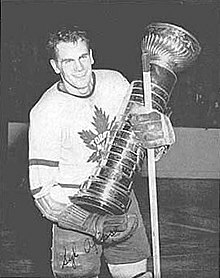 Dickie Moore, who won the Cup six times, had his name spelled differently five times (D. Moore, Richard Moore, R. Moore, Dickie Moore, Rich Moore). Glenn Hall's name was misspelled as "Glin" in 1951–52. Alex Delvecchio's name was misspelled as "Belvecchio" in 1954. Bob Gainey was spelled "Gainy" when he was a player for Montreal in the 1970s. Ted Kennedy was spelled "Kennedyy" in the 1940s. Toronto Maple Leafs was spelled "Leaes" in 1963. Boston Bruins was spelled "BQSTQN" in 1972. New York Islanders was spelled "Ilanders" in 1981. Justin Williams the Conn Smythe Trophy winner of the 2014 Los Angeles Kings was spelled "JUSTIN WILLIVIS". One name was later scratched out: Peter Pocklington, a former Edmonton Oilers owner, put his father's name, Basil, on the Stanley Cup in 1984; today, there is a series of "X"s over Basil's name. In 1996, Colorado Avalanche's Adam Deadmarsh's last name was spelled "Deadmarch". It was later corrected, marking the first correction on the Cup. Similar corrections were made in 2002, 2006 and 2010 for the names of Detroit Red Wings goalie Manny Legace ("Lagace"), Carolina Hurricanes forward Eric Staal ("Staaal") and Chicago Blackhawks forward Kris Versteeg ("Vertseeg"). There are many traditions associated with the Stanley Cup. One of the oldest, started by the 1896 Winnipeg Victorias, dictates that the winning team drink champagne from the top bowl after their victory. The Cup is also traditionally presented on the ice to the captain of the winning team after the series-winning game; each member of the victorious club carries the trophy around the rink. However, this has not always been the case; prior to the 1930s, the Cup was not awarded immediately after the victory. The first time that the Cup was awarded on the ice may have been to the 1932 Toronto Maple Leafs, but the practice did not become a tradition until the 1950s. Ted Lindsay of the 1950 Cup champion Detroit Red Wings became the first captain, upon receiving the Cup, to hoist it overhead and skate around the rink. According to Lindsay, he did so to allow the fans to have a better view of the Cup. Since then, it has been a tradition for each member of the winning team, beginning with the captain, to take a lap around the ice with the trophy hoisted above his head. The tradition of the captain first hoisting the Cup has been "breached" a few times. In 1993 after the Montreal Canadiens defeated the Los Angeles Kings, Guy Carbonneau handed the Cup to Denis Savard, as Savard had been the player that many fans had urged the Canadiens to draft back in 1980. The second was involving Joe Sakic and Ray Bourque when the Colorado Avalanche won the Cup in 2001, as the seventh and deciding game of the finals was the last of Bourque's 22-year NHL career, having never been on a cup-winning team until that time (until being traded to the Avalanche on March 6, 2000, Bourque had played only for the Boston Bruins). When Sakic received the trophy, he did not hoist it, but instead immediately handed it to Bourque; Sakic then became the second player on the team to hoist the trophy. The Stanley Cup championship team is allotted 100 days during off-season to pass around the Cup including the team's parade, days with sponsors and a day or so with each player and member of the team's staff. It is always accompanied by at least one representative from the Hockey Hall of Fame. Although many players have unofficially spent a day in personal possession of the Cup, in 1994 the New York Rangers started a tradition wherein each member of the Cup-winning team is allowed to retain the Cup for a day. Victors of the Cup have used it to baptize their children. Three players (the New York Islanders' Clark Gillies, the Anaheim Ducks' Sean O'Donnell, and the Pittsburgh Penguins' Nick Bonino) even allowed their dogs to eat out of the Cup. There are technically three versions of the "Stanley Cup": the original 1892 bowl or Dominion Hockey Challenge Cup, the 1963 authenticated "Presentation Cup", and the 1993 "Permanent Cup" at the Hall of Fame. The original 1892 Dominion Hockey Challenge Cup, purchased and donated by Lord Stanley, was physically awarded to the Champions until 1970, and is now displayed in the Vault Room at the Hockey Hall of Fame in Toronto, Ontario. The authenticated version or "Presentation Cup" was created in 1963 by Montreal silversmith Carl Petersen. 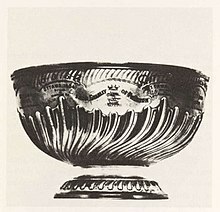 NHL president Clarence Campbell felt that the original bowl was becoming too thin and fragile, and thus requested a duplicate trophy as a replacement. The Presentation Cup is authenticated by the seal of the Hockey Hall of Fame on the bottom, which can be seen when winning players lift the Cup over their heads, and it is the one currently awarded to the champions of the playoffs and used for promotions. This version was made in secret, and its production was revealed only three years later. 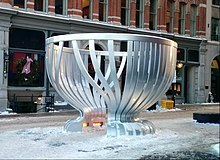 The replicated "Permanent Cup", was created in 1993 by Montreal silversmith Louise St. Jacques to be used as a stand-in at the Hockey Hall of Fame whenever the Presentation Cup is not available for display. There are very few differences between the authenticated version and the Hockey Hall of Fame version. The surest way to identify one version from the other is to check the engraving for the 1984 Stanley Cup winning Edmonton Oilers. The authenticated version has x's engraved over Basil Pocklington's name whereas his name is completely missing from the Hall of Fame version. The Stanley Cup has served as a valuable morale booster for both American and Canadian troops, as well as their NATO allies. In 2004, the Cup was displayed at MacDill Air Force Base, located near Tampa, Florida. The visit gave both American troops and a visiting Canadian unit the thrill of seeing the trophy at close hand. The event was later touted by officials at MacDill as "a huge morale booster for our troops". In 2006, the Cup toured Marine Corps Base Camp Lejeune, North Carolina, where wounded Marines were given the opportunity to view and be photographed with the Cup. In 2007, the Stanley Cup made its first trip into a combat zone. During the trip to Kandahar, Afghanistan from May 2 to 6, organized by the NHL, the Hockey Hall of Fame, the NHL Alumni and the Canadian Department of National Defence, the Cup was put on display for Canadian and other NATO troops. It briefly endured a rocket attack on May 3, but emerged unscathed. The Stanley Cup did a second tour in Afghanistan as part of a "Team Canada visit" in March 2008. In the spring of 2010 the Stanley Cup made its fourth trip to Afghanistan, accompanied by ex-players. On June 27, 2010, Chicago Blackhawks defenceman Brent Sopel paid tribute to his friend, former Toronto Maple Leafs general manager Brian Burke and Burke's late son, Brendan, by accompanying the Cup to the 2010 Chicago Gay Pride Parade. In 2018, the Cup was used to improve the spirits of those who were affected by either of two significantly tragic events which claimed the lives of multiple individuals, the Humboldt Broncos' bus crash on April 6, and the Capital Gazette shooting on June 28. For the former, the Stanley Cup was brought to the hospital where the crash survivors were recuperating on April 15, and for the latter, the it was presented to Capital Gazette employees at their temporary office on July 3. Chandler Stephenson of the 2018 champion, the Washington Capitals, has also planned to show the Stanley Cup to the Broncos again for his day with the trophy, and did so in late August. The regulations set down by Lord Stanley call for two Trustees, who had the sole, joint right to govern the Cup and the conditions of its awarding until 1947, when they ceded control to the NHL. While the original regulations allow for a Trustee to resign, to date, all Cup Trustees have served until their deaths. In the event of a vacancy, the remaining trustee names the replacement for the deceased or resigned Trustee. ^ Podnieks, Andrew (March 25, 2008). "Triple Gold Goalies... not". International Ice Hockey Federation. Retrieved June 12, 2017. ^ "Lord Stanley (of Preston)". Hockey Hall of Fame and Museum. Retrieved June 10, 2015. ^ "Stanley Cup will stay put, even if NHL season is cancelled". National Post. Archived from the original on February 8, 2013. Retrieved September 20, 2012. ^ a b "If the NHL won't use it, can Canada have the Stanley Cup back?". Ctvnews.ca. September 14, 2012. Retrieved September 20, 2012. ^ a b c d "Stanley Cup Engraving Facts, Firsts, and Faux Pas". Hockey Hall of Fame. Retrieved May 25, 2008. ^ "The Stanley Cup coming soon to a living room near you?". CNW Group. 2007. Archived from the original on May 7, 2007. Retrieved April 8, 2007. ^ a b c d e f g Podnieks 2004, p. 3. ^ "Hockey Hall of Fame: Stanley Cup Journals 01". Retrieved May 13, 2008. ^ "22 Things You Might Not Know About the Stanley Cup". 2017-05-29. Retrieved 2018-07-23. ^ a b Diamond 1992, p. 10. ^ a b Diamond, Zweig & Duplacey 2003, p. 11. ^ a b "Ottawa Journal article of dinner at Backcheck web site". Library and Archives Canada. Archived from the original on March 21, 2016. Retrieved November 3, 2007. ^ a b c "The Stanley Cup". National Hockey League. Archived from the original on July 2, 2009. Retrieved July 11, 2006. ^ Potter, Mitch (May 24, 2008). "Cup runneth over with cousins". Toronto Star. Retrieved June 10, 2015. ^ "Unraveling the mystery of Stanley". National Hockey League. Archived from the original on June 18, 2009. Retrieved July 11, 2006. ^ Zweig 2012, p. 15. ^ Diamond 1992, p. 14. ^ a b Podnieks 2004, p. 4. ^ Diamond, Zweig & Duplacey 2003, pp. 17–18. ^ a b Podnieks 2004, p. 5. ^ Podnieks 2004, p. 20. ^ "Stanley Cup Winners: Montreal AAA 1893–94". Hockey Hall of Fame. Archived from the original on September 30, 2007. Retrieved July 11, 2006. ^ "Stanley Cup Winners: Montreal Victorias 1894–95". Hockey Hall of Fame. Archived from the original on March 7, 2008. Retrieved July 11, 2006. ^ "Stanley Cup Winners: Winnipeg Victorias 1895–96Feb". Hockey Hall of Fame. Archived from the original on September 30, 2007. Retrieved July 11, 2006. ^ a b c Diamond, Zweig & Duplacey 2003, p. 19. ^ Podnieks 2004, p. 37. ^ "Stanley Cup Winners: Kenora Thistles 1906–07Jan". Hockey Hall of Fame. Archived from the original on November 23, 2005. Retrieved July 24, 2006. ^ Diamond 1992, p. 38. ^ Diamond, Zweig & Duplacey 2003, p. 24. ^ "Stanley Cup Winners: Quebec Bulldogs 1911–12". Hockey Hall of Fame. Archived from the original on June 10, 2008. Retrieved July 11, 2006. ^ "Stanley Cup Contest May Not Be for the Mug, After All is Said". Saskatoon Phoenix. March 18, 1914. p. 8. ^ "A Tempest in a Teapot". Montreal Daily Mail. March 19, 1914. p. 9. ^ "Stanley Cup Muddle Cleared Up". The Globe and Mail. March 19, 1914. ^ "Three Pro Leagues as to Stanley Cup". Toronto World. March 25, 1914. p. 8. ^ a b c Diamond, Zweig & Duplacey 2003, p. 20. ^ "Stanley Cup Winners: Vancouver Millionaires 1914–15". Hockey Hall of Fame. Archived from the original on April 9, 2006. Retrieved July 11, 2006. ^ Diamond 1992, p. 46. ^ "Stanley Cup Winners: Seattle Metropolitans 1916–17". Hockey Hall of Fame. Archived from the original on September 30, 2007. Retrieved July 11, 2006. ^ Podnieks 2004, p. 51. ^ Diamond 1992, pp. 51–52. ^ Diamond, Zweig & Duplacey 2003, pp. 20–21. ^ a b Diamond, Zweig & Duplacey 2003, p. 21. ^ "Stanley Cup Winners: Victoria Cougars 1924–25". Hockey Hall of Fame. Archived from the original on September 30, 2007. Retrieved July 11, 2006. ^ a b Kreiser, John (March 18, 2013). "Stanley Cup timeline, from 1892 to today". National Hockey League. Retrieved June 21, 2016. ^ Diamond, Zweig & Duplacey 2003, p. 40. ^ a b "Court:Non-NHL teams could vie for Cup". TSN. February 7, 2006. Archived from the original on December 16, 2007. Retrieved July 15, 2006. ^ Morrissey, Bob (October 27, 1976). "Canada Cup 'wasteful' says Clarence Campbell". The Gazette. Montreal. p. 35. Retrieved July 16, 2010. ^ "Lockout Reminds Lowe of Gretzky Deal". TSN. February 16, 2005. Archived from the original on September 29, 2007. Retrieved July 15, 2006. ^ "Amateurs taking NHL to court to play for Cup". ESPN. April 13, 2005. Retrieved October 13, 2007. ^ "Winner of three-team tourney to get Victoria Cup". ESPN. Associated Press. May 8, 2007. Retrieved February 9, 2009. ^ "Triple Gold Club expands to 22". International Ice Hockey Federation. June 5, 2008. Archived from the original on February 18, 2009. Retrieved February 8, 2009. ^ "PR & Media Activities". International Ice Hockey Federation. Retrieved February 8, 2009. ^ Barnes, Don (February 25, 2002). "Welcome to the Triple Gold Club: Blake, Sakic, Shanahan: New members to elite club: Olympics, worlds, Stanley Cup". National Post. ^ Scanlan, Wayne (February 24, 2002). "Triple Gold Club awaits Canadian trio". Edmonton Journal. ^ Buffery, Steve (December 26, 2001). "Skating a fine line". Toronto Sun. Retrieved February 9, 2009. ^ "Stanley Cup returns to Rideau Hall for 125th anniversary celebration". CBC News. March 16, 2017. Retrieved July 25, 2018. ^ "Invitation: Monument Unveiling". lordstanleysgift.com. October 18, 2017. Retrieved November 13, 2017. ^ a b c d Podnieks 2004, p. 12. ^ Diamond, Zweig & Duplacey 2003, p. 8. ^ Podnieks 2004, p. 13. ^ a b Podnieks 2004, p. 9. ^ a b Podnieks 2004, p. 14. ^ "Strike Up The Bands: The Stanley Cup is Stripped of a Ring; Cancelled 2004–05 Season Recognized". Hockey Hall of Fame. Archived from the original on August 20, 2007. Retrieved February 19, 2007. ^ Golen, Jimmy (April 4, 2018). "Stanley Cup saying goodbye to names of some of NHL's legends to make room for more players". Toronto Star. Associated Press. Retrieved April 4, 2018. ^ a b "NHL.com— Stanley Cup Fun Facts". National Hockey League. Archived from the original on January 17, 2010. Retrieved June 21, 2011. ^ Conner 2002, pp. 113–114. ^ Jonathon Jackson (May 16, 2008). "Europe no place for a small-town hockey player in 1938". Owen Sound Sun-Times. Archived from the original on August 9, 2011. Retrieved May 18, 2008. ^ Jahns, Adam L. (September 28, 2010). "Versteeg or Vertseeg? Blackhawks have names engraved on Stanley Cup". Chicago Sun-Times. Archived from the original on October 1, 2010. Retrieved September 29, 2010. ^ a b c Podnieks 2004, p. 8. ^ "Ray, meet Stanley: Finally! Bourque gets hands on the Cup". Sports Illustrated. June 10, 2001. Retrieved July 25, 2006. ^ Kendra Stanley-Mills (August 11, 2009). "Pritchard, Stanley Cup have spanned the globe". MLive.com. Retrieved June 30, 2010. ^ Wolf, Buck (2002). "Strange Misadventures of the Stanley Cup". ABC. Retrieved April 16, 2007. ^ Shea, Kevin (2007). "Stanley Cup Journal". Hockey Hall of Fame. Retrieved June 23, 2007. ^ a b Podnieks 2003, p. 33. ^ a b c Adami, Hugh (July 1, 2006). "Stanley's secret leaks out 43 years later". Ottawa Citizen. Archived from the original on October 14, 2007. Retrieved November 3, 2007. ^ Yorio, Kara (June 7, 2004). "Seeing is believing". The Sporting News. ^ Shea, Kevin (2007). "Stanley Cup Journal, 2007". The Hockey Hall of Fame. Retrieved March 19, 2008. ^ "Hillier takes Stanley Cup, former NHLers to Afghanistan". CBC News. Canadian Broadcasting Corporation. May 2, 2007. Retrieved March 19, 2008. ^ "Stanley Cup arrives in Kandahar as MacKay wraps low-profile visit". CBC News. Canadian Broadcasting Corporation. March 19, 2008. Retrieved March 19, 2008. ^ Fisher, Matthew (March 19, 2008). "Stanley Cup, former NHLers visit troops in Afghanistan". CanWest News Service. Archived from the original on May 27, 2008. Retrieved March 19, 2008. ^ "Stanley Cup Headed To Afghanistan". WPXI. March 12, 2010. Retrieved June 29, 2013. ^ Littke, Jim (June 25, 2010). "Sports' most macho trophy shows new kind of pride". National Hockey League. 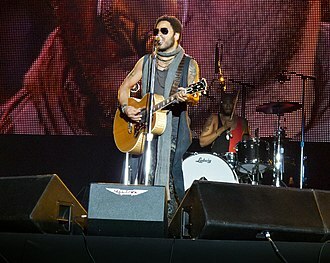 Associated Press. Retrieved April 24, 2017. ^ Zwirz, Elizabeth (April 15, 2018). "Injured Humboldt Broncos get visit from Stanley Cup". Fox News Channel. Archived from the original on April 17, 2018. Retrieved April 17, 2018. ^ Wagner, Bill (July 3, 2018). "Stanley Cup visits the temporary Capital Gazette office". Capital Gazette. Retrieved July 6, 2018. ^ Allen, Scott (July 3, 2018). "The Stanley Cup visited the Capital Gazette's temporary office in Annapolis". The Washington Post. Retrieved July 6, 2018. ^ Regan, J.J. (June 14, 2018). "Chander Stephenson will spend his day with the Stanley Cup in Humboldt". NBC Sports. Retrieved June 16, 2018. ^ Chiappelli, Kirstie (August 26, 2018). "Capitals' Chandler Stephenson takes Stanley Cup to Humboldt". SportingNews Canada. Archived from the original on August 31, 2018. Retrieved August 31, 2018. Batten, Jack (2004). The Leafs. Key Porter Books. ISBN 1-55263-205-9. Coleman, Charles (1966). Trail of the Stanley Cup. National Hockey League. ISBN 0-8403-2941-5. Conner, Floyd (2002). Hockey's Most Wanted: The Top 10 Book of Wicked Slapshots, Bruising Goons, and on Ice Oddities. United States: Potomac Books Inc. ISBN 978-1-57488-364-0. Diamond, Dan, ed. (1992). The Official National Hockey League Stanley Cup Centennial Book. Firefly Books. ISBN 1-895565-15-4. Diamond, Dan; Zweig, Eric; Duplacey, James (2003). The Ultimate Prize: The Stanley Cup. Andrews McMeel Publishing. ISBN 0-7407-3830-5. Mole, Rich (2004). Great Stanley Cup Victories: Glorious Moments in Hockey. Altitude Pub. Canada. ISBN 1-55153-797-4. Podnieks, Andrew (2003). The goal: Bobby Orr and the most famous goal in Stanley Cup history. Triumph Books. ISBN 1-57243-570-4. Podnieks, Andrew; Hockey Hall of Fame (2004). Lord Stanley's Cup. Triumph Books. ISBN 1-55168-261-3. Shea, Kevin; Wilson, John Jason (2006). Lord Stanley: The Man Behind the Cup. Fenn Publishing. ISBN 978-1-55168-281-5. Zweig, Eric (2012). Stanley Cup: 120 years of hockey supremacy. Firefly Books. ISBN 978-1-77085-104-7. Wikimedia Commons has media related to Stanley Cup. An avid sportsman, he built Stanley House Stables in England, and is famous in North America for presenting Canada with the Stanley Cup. Stanley was one of the inductees of the Hockey Hall of Fame. Derby was the son of Prime Minister Edward Smith-Stanley, 14th Earl of Derby. He was born in London and was educated at Eton and Sandhurst and he received a commission in the Grenadier Guards, rising to the rank of Captain. Derby left the army for politics, serving as a Conservative Member of Parliament, in government, he served as a Civil Lord of the Admiralty, Financial Secretary to the War Office, Secretary to the Treasury, War Secretary and Colonial Secretary. In 1886 he was created Baron Stanley of Preston, in the County Palatine of Lancaster and he served as President of the Board of Trade, remaining in that office until he was appointed Governor General of Canada. 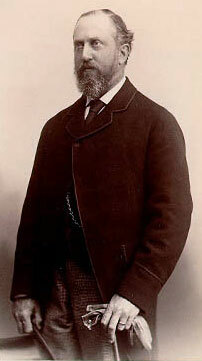 Stanley was appointed the Governor General of Canada and Commander in Chief of Prince Edward Island on 1 May 1888, during his term as Governor General, he travelled often and widely throughout the country. 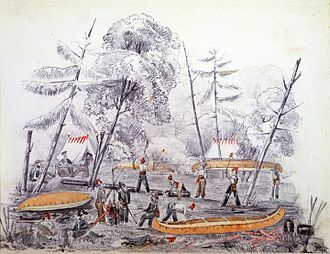 During his visit he dedicated Stanley Park, which is named after him and he experienced the joys of fishing and avidly pursued the sport whenever his busy schedule allowed. When Sir John A. Macdonald died in office of heart failure on 6 June 1891 and he asked Sir John Abbott to take over as prime minister. Once the government was in place, Abbott resigned for health reasons, Derby helped cement the non-political role of the governor general when, in 1891, he refused to agree to a controversial motion in the House of Commons. 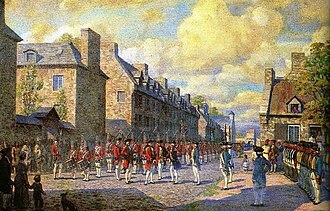 The opposition to the bill was introduced by the provinces who were motivated by mistrust of the Roman Catholic Church in Quebec. 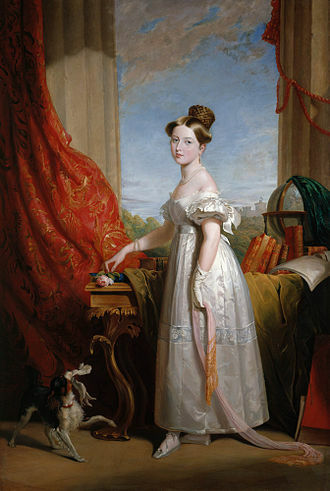 Derby declined to interfere, citing the proposed disallowal as unconstitutional, in holding to this decision, he gained popularity by refusing to compromise the viceregal position of political neutrality. Derbys wife, whom Sir Wilfrid Laurier described as an able and witty woman, in 1891, she founded the Lady Stanley Institute for Trained Nurses on Rideau Street, the first nursing school in Ottawa. The International Ice Hockey Federation is a worldwide governing body for ice hockey and in-line hockey. It is based in Zurich and has 74 members and it manages international ice hockey tournaments and maintains the IIHF World Ranking. The Hockey Canada and USA Hockey federations have their own rulebooks, decisions of the IIHF can be appealed through the Court of Arbitration for Sport in Lausanne, Switzerland. The IIHF museum was located within the International Hockey Hall of Fame Museum located in Kingston, after terminating the partnership with the International Hockey Hall of Fame, the IIHF signed an agreement with the NHL to house their museum within the Hockey Hall of Fame. 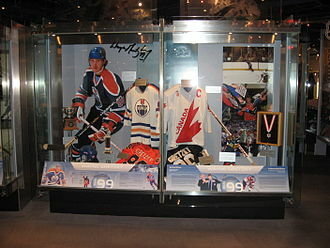 In 1998, the IIHF museum relocated to Toronto, Ontario, as part of the centennial celebrations of the IIHFs founding, the 2008 IIHF World Championship was held in Canada. This was the first time the championships were hosted in Canada, Russia won the 2008 Championship, with Canada as the runner-up. The main functions of the IIHF are to govern, another duty is to promote friendly relations among the member national associations and to operate in an organized manner for the good order of the sport. The IIHF is the body responsible with arranging the sponsorships, license rights, another purpose of the federation is to provide aid in the young players development and in the development of coaches and game officials. On the other hand, all the events of IIHF are organized by the federation along with establishing and maintaining contact with any sport federations or sport groups. The IIHF is responsible for processing the international players transfers and it is the body that presides over ice hockey in the Olympic Games as well as over all levels of the IIHF World Championships. The federation works in collaboration with local committees when organizing its 25 World Championships, even though the IIHF runs the world championships, it is responsible for the organization of several European club competitions such as the Champions Hockey League or the Continental Cup. The federation is governed by the body of the IIHF which is the General Congress along with the executive body. The Congress is entitled to make decisions with regard of the games rules and it is the body that elects the president and the council or otherwise known as board. The PCHA was considered to be a major league of ice hockey and was important in the development of the sport of professional ice hockey through its innovations. The league was started by the Patrick family, professional players from Montreal, building new arenas in Vancouver and Victoria. After a few years of play, the league was accepted by the Stanley Cup trustees as being of a high standard that teams from its league were accepted for Stanley Cup challenges. Starting in 1915, the league entered into an agreement where the Stanley Cup was to be contested between the National Hockey Association and the PCHA after the seasons were finished. The league struggled to make money, and various teams moved into different cities in an attempt to be successful financially, the league, to survive, merged with the WCHL in 1924. After playing for the Renfrew Millionaires in 1910, players Frank Patrick and Lester Patrick moved west to Nelson, after Joe decided to sell the business in January 1911, the Patricks decided to form a new professional ice hockey league, risking the family fortune. 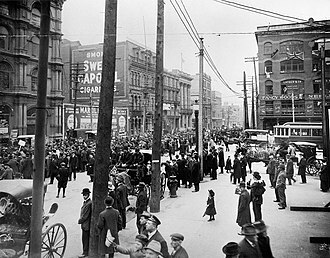 The decision was made to put new rinks in Vancouver and Victoria, British Columbia, locations which necessitated the use of artificial ice, three teams, the New Westminster Royals, the Victoria Senators, and the Vancouver Millionaires would be formed. 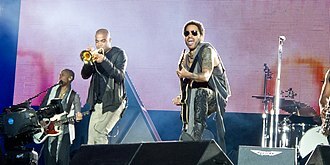 The Patricks moved quickly, buying property for the arenas in February, ground was broken for the arenas in April and the arenas were completed in December. Victorias arena seated 4,000, and cost $110,000, all players were paid by the league, unlike the NHA with its competing teams. The PCHA distributed players amongst the teams, Newsy Lalonde of the Canadiens would be the most notable player to move west, to play for Vancouver. The league was organized on December 7,1911 to be run by Frank and Lester. The Victoria arena would open to the public on Christmas Day 1911, the first league championship for the Patterson Cup trophy was won by the New Westminster Royals. The league did not challenge for the Stanley Cup the first year, despite the raiding of the NHA, a March 1912 west coast tour of the NHAs all-stars was arranged, billed as a sort of World Series of hockey. Earl of Derby is a title in the Peerage of England. The title was first adopted by Robert de Ferrers, 1st Earl of Derby under a creation of 1139 and it continued with the Ferrers family until the 6th Earl forfeited his property toward the end of the reign of Henry III and died in 1279. Most of the Ferrers property and, by a creation in 1337, the title merged in the Crown upon Henry IVs accession to the throne. It was created again for the Stanley family in 1485, Lord Derbys subsidiary titles are Baron Stanley of Bickerstaffe in the County Palatine of Lancaster, and Baron Stanley of Preston, in the County Palatine of Lancaster. The courtesy title of the heir apparent is Lord Stanley and they were at times one of the richest landowning families in England. The family seat is Knowsley Hall, near Liverpool, Ferrières in Normandy, the hometown of the de Ferrers family, was an important centre for iron and takes it name from the iron ore mines used during the Gallo-Roman period. Lord of Longueville, and a Domesday Commissioner, he built Tutbury Castle, the Ferrers, lords of the barony of Ferrières in Normandy, were accompanied to England by three other families who were their underlords in France, the Curzons, the Baskervilles and the Levetts. 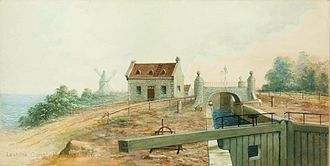 Robert de Ferrers, 2nd Earl of Ferrières was created Earl of Derby by King Stephen in 1138 for his valiant conduct at the Battle of Northallerton and he was married to Hawise de Vitre and died in 1139. His son Robert de Ferrers, 2nd Earl of Derby became the earl and was married to Margaret Peverel. He founded Darley Abbey and Merevale Abbey and his son William de Ferrers, 3rd Earl of Derby was married to Sybil de Braose. He rebelled against King Henry II and was imprisoned at Caen and he died in the Crusades at the Siege of Acre. He was succeeded by his son William de Ferrers, 4th Earl of Derby who married Agnes de Kevelioc, daughter of Hugh de Kevelioc, through one line the descent of the Earls of Derby eventually gave rise to the Earls Ferrers. Laurence Shirley, 4th Earl Ferrers, was the only peer of the realm to be hanged for murder, another familial line takes in the Baron Ferrers of Chartley descent. The large estates which were taken from Robert in 1266 were given by Henry III to his son, Edmund Crouchback, John of Gaunt’s son and successor was Henry Bolingbroke, who acceded to the throne as Henry IV in 1399. The guinea was a coin of approximately one quarter ounce of gold that was minted in Great Britain between 1663 and 1814. From 1717 to 1816, its value was fixed at twenty-one shillings. Then, Britain adopted the standard and guinea became a colloquial or specialised term. The name came from the Guinea region in West Africa, where much of the used to make the coins originated. The name forms the basis for the Arabic word for the Egyptian pound الجنيه el-Genēh / el-Geni, the first guinea was produced on 6 February 1663, a proclamation of 27 March 1663 made the coins legal currency. One troy pound of 11/12 fine gold would make 44½ guineas, the denomination was originally worth one pound, or twenty shillings, but an increase in the price of gold during the reign of King Charles II led to the market trading it at a premium. 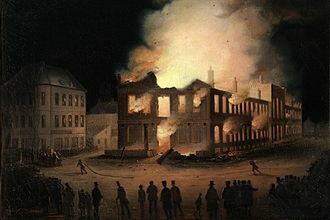 The price of gold continued to increase, especially in times of trouble, and by the 1680s, indeed, in his diary entries for 13 June 1667, Samuel Pepys records that the price was 24 to 25 shillings. The diameter of the coin was 1 inch throughout Charles IIs reign, Guinea was not an official name for the coin, but much of the gold used to produce the early coins came from Guinea in Africa. The coin was produced each year between 1663 and 1684, with the elephant appearing on some coins each year from 1663 to 1665 and 1668, and the elephant and castle on some coins from 1674 onward. The elephant, with or without the castle, symbolises the Royal African Company, the obverse and reverse of this coin were designed by John Roettier. The edge was milled to deter clipping or filing, and to distinguish it from the silver half-crown which had edge lettering, until 1669 the milling was perpendicular to the edge, giving vertical grooves, while from 1670 the milling was diagonal to the edge. John Roettier continued to design the dies for this denomination in the reign of King James II. In this reign, the coins weighed 8.5 g with a diameter of 25–26 mm, Coins of each year were issued both with and without the elephant and castle mark. The Montreal Hockey Club of Montreal, Canada was a senior-level mens amateur ice hockey club, organized in 1884. They were affiliated with Montreal Amateur Athletic Association and used the MAAA winged wheel logo, the team was the first to win the Stanley Cup, in 1893, and subsequently refused the cup over a dispute with the Montreal Amateur Athletic Association. The club is known as Montreals, Montreal AAA and Winged wheel in literature. The team played in several early ice hockey leagues, including the Amateur Hockey Association of Canada from 1886 until 1898, the team competed in purely amateur leagues until 1906. After two seasons of playing with professionals, the left its league, the Eastern Canada Amateur Hockey Association to continue playing in amateur competition. It would go on to win the Allan Cup in 1930, in 1932, the club would leave the MAAA association and become the Montreal Royals, eventually becoming a semi-professional team in the Quebec Senior Hockey League. Prior to the Clubs formal organization, a group of enthusiasts from the Montreal Football Club would play as the Montreal Hockey Club. The group was captained by James Creighton before he moved to Ottawa, the Club was organized formally as an affiliate of the Montreal Amateur Athletic Association on November 28,1884. The first president of the team was Thomas Fraser and the first team was composed of T. L. Paton in goal, Fred M. Larmonth, point, W. D. Aird, coverpoint, W. C. Hodgson, D. McIntyre, R. F. Smith and F. W Barlow, several of the players were members of the Montreal Lacrosse Club. The team played its first game on January 20,1885 against McGill University, the club would be a founding member of the Montreal-based Amateur Hockey Association of Canada in 1886. The team held the Amateur Hockey Association title from 1888 until 1894, after the AHAC disbanded in 1898, the club continued in the Canadian Amateur Hockey League, winning the league title in 1902. The Stanley Cup, as it would be known, was to be presented to the Montreal Hockey Club on May 15,1893, at the time, the Montreal Hockey Club was in a dispute with its parent organization, the Montreal Amateur Athletic Association. A punch bowl is a bowl, often large and wide, in which the drink punch is served. The word punch is a loanword from Hindi, the original drink was named paantsch, which is Hindi for five, and the drink was made from five different ingredients, sugar, lemon and tea or spices. Punch quickly became a popular drink and it was served in punch bowls, usually ceramic or silver, which were often elaborately decorated. Punch bowls sometimes had lids or were supported on a stand, other such as a serving ladle. The ubiquity of the bowl as a household item is illustrated in this 1832 quote. And there were many kindly recollections connected with it, it being very frequently given as a present, no young married couple ever thought of buying a punch-bowl, it was always presented to them by a near-relative. Occasionally less likely vessels were used as bowls, On the 15th October 1694 Admiral Edward Russell, commanding the Mediterranean fleet. The tables were laid under the shade of orange-trees, in four garden-walks meeting in a centre, at a marble fountain. Jesus College, Oxford owns a large silver-gilt punch bowl, presented by Sir Watkin Williams-Wynn in 1732. Those present at the dinner included the Tsar of Russia, the King of Prussia, Blücher, the Prince Regent, the Duke of York, there is a college tradition that the bowl will be presented to anyone who can meet two challenges. The first is to put arms around the bowl at its widest point, the bowl measures 5 feet 2 inches at its widest point, and so the first challenge has only been accomplished rarely, the second challenge has not been met. The Stanley Cup is a punch bowl, the Sydney punchbowls are made of Chinese porcelain and depict rare scenes of early Sydney. The Liscum Bowl set is made from 90 pounds of sterling silver gifted to the United States Army from China during the Boxer Rebellion in 1900 and it is the most prized possession of the 9th Infantry Regiment and worth upwards of $2.5 million. At times, punch bowls were used as baptismal fonts in dissenting families, the American poet Oliver Wendell Holmes wrote the poem On Lending a Punch-bowl about an old silver punch bowl. Boodles is a privately held British luxury jeweller and jewellery designer founded in 1798. A family company from Liverpool, it has stores in London, Manchester and their flagship store is found on New Bond Street, London. Founded as Boodle and Dunthorne, Boodles dates from 1798 when its first shop opened in Liverpool, in 1910 it amalgamated with the Wainwright family, owners of another Liverpool jewellers. The business has remained with ever since. In 1965 Boodles opened a store in Chester and a third one in Manchester in 1982. Nicholas and Michael Wainwright took over from their father, Anthony Wainwright, under their stewardship, Boodles has opened several stores in London. Boodles’ first London store opened on Brompton Road opposite Harrods – this moved to No.1 Sloane Street, fast forward to present day, and Boodles are due to launch their new showroom at No.6 Sloane Street in early 2017. Boodles’ second London store was on Regent Street, and this moved to Bond St. Boodles now has nine stores including five in London, Savoy Hotel, New Bond Street, Sloane Street, The Royal Exchange and Harrods, in late 2015, the Bond Street flagship showroom underwent a major expansion and renovation. The family changed the name from Boodle and Dunthorne to Boodles. The company started selling jewellery from its website in summer 2012, in its early years Boodles, as well as making jewellery, was a silversmith and watchmaker. During the 20th century the company provided chronographs and watches to air and it designed and crafted cups for sporting and non-sporting competitions including the solid gold trophy for the winner of the Grand National. In the second half of the 20th century Boodles emerged as a retailer of bespoke jewellery, the company sources diamonds and other gemstones, and designs its own range of jewellery. In 2008, the Boodles Raindance Ring was selected to appear in the Victoria and Albert Museums permanent jewellery collection, in 2014, Boodles was chosen as the focus of Channel 4’s television documentary ‘The Million Pound Necklace, Inside Boodles’. The documentary was watched by an audience of over 2 million and was produced by the same team behind ‘Inside Claridges’. The Boodles is a tennis exhibition at Stoke Park in Buckinghamshire. 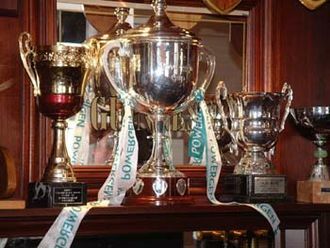 Some loving-cup trophies seen in the London Irish clubhouse at Sunbury in 2002. The one in the centre is the Powergen Cup. The Conn Smythe Trophy, awarded to the most valuable player during the National Hockey League's Stanley Cup playoffs, on display at the Hockey Hall of Fame. Unique 3D printed trophy for Essenscia, the Belgian Federation for Chemistry and Life Sciences industries. 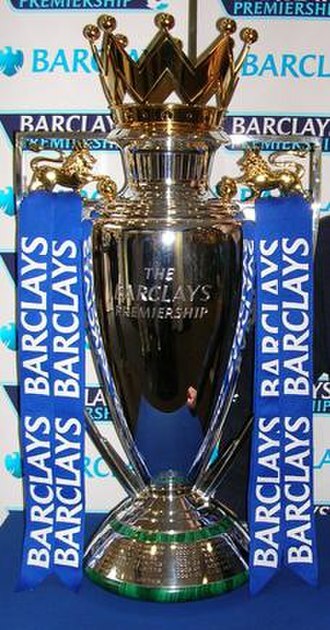 The Premier League Trophy is an example of a loving-cup trophy. 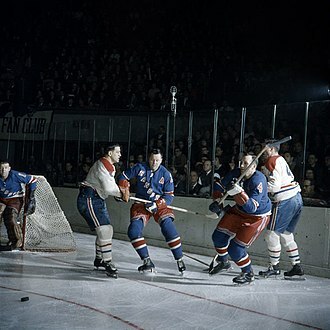 Game between the Canadiens and the New York Rangers in 1962. Bell Centre has been the Canadiens' home venue since 1996. The arena is here seen in 2008, with banners celebrating the Montreal Canadiens centennial. 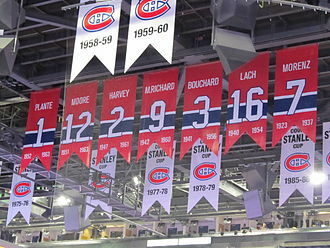 Some of the retired numbers at Bell Centre. Maurice 'The Rocket' Richard is the Canadiens' all-time leader in goals. The trophy awarded annually to the NHL's leading goal scorer is named in honour of Richard. James Stanley, 7th Earl of Derby. Remembered on the Isle of Man as: Yn Stanlagh Mooar (the Great Stanley). 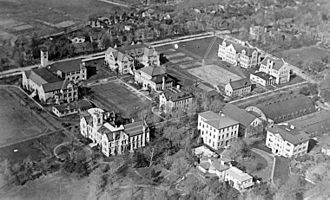 Aerial view of the campus, 1919. 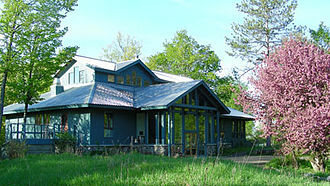 The Queen's University Biological Station is Canada's largest inland field station. Researchers have gathered at the facility to conduct research in biology and ecology. 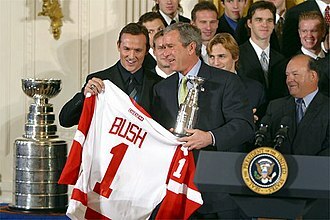 With the Stanley Cup present (l), U.S. President George W. Bush receives a commemorative jersey and mini-Cup from 2002 Stanley Cup Champion Detroit Red Wings captain Steve Yzerman. Detroit coach Scotty Bowman is at lower right. Wounded United States Marines pose with the Stanley Cup, with Glen Wesley of the 2006 Stanley Cup Champion Carolina Hurricanes in the background (upper left, in orange). The Boodles Raindance Ring, selected in 2008 to appear in the Victoria and Albert Museum's permanent jewellery collection. Famous Boodles client, Emma Thompson, at the Bond Street flagship store launch party in 2015. Passport for a railway engineer dated 1876 containing Lord Stanley's full title and his signature. Foundation document of the LIHG. Montreal player Joe Hall eventually succumbed to pneumonia. A photo of the club taken in 1881 in Quebec.